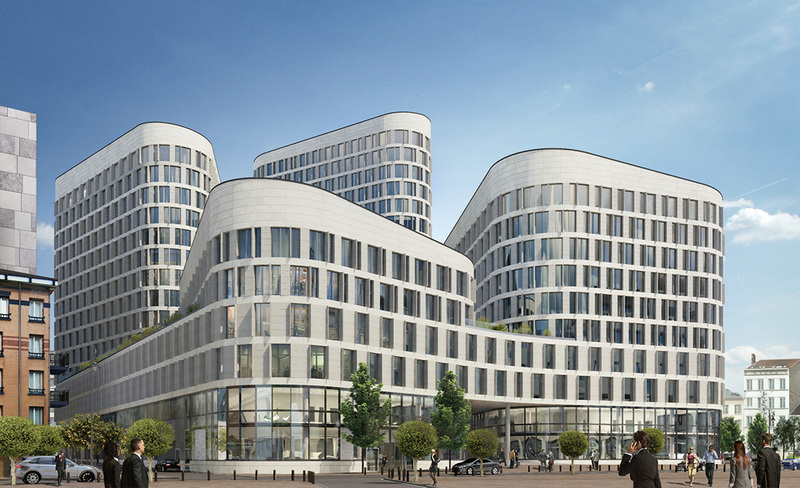 The Quatuor has been designed to create an urban link between different adjacent neighborhoods - the Espace Nord and the historical heart of Brussels. The project will be composed of four towers with different heights, comprising four levels at the base to unite all the towers to form a coherent urban development. The towers situated on the west will be less high due to their proximity to existing lower buildings. 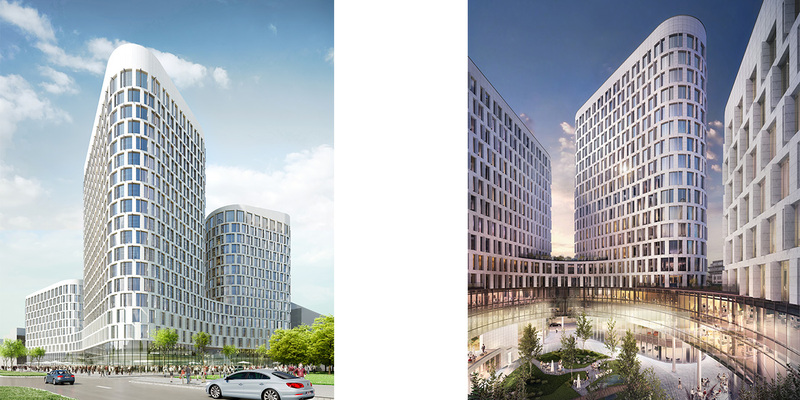 Conversely, east towers will be higher to extend the alignment of development situated on the north side, and thus create the important Espace Nord entrance vista in town planning terms. For this entrance to materialise, the Quatuor will consist of rounded and soft volumes, with accents such as a walkway connecting the high towers and garden terraces above the base. The sloping roofs add dynamism and allow installation of photovoltaic panels facing south. Triple glazing, thermo-lacquered aluminium joinery and natural stone will be use for the facades and blue stone for the skirting boards. 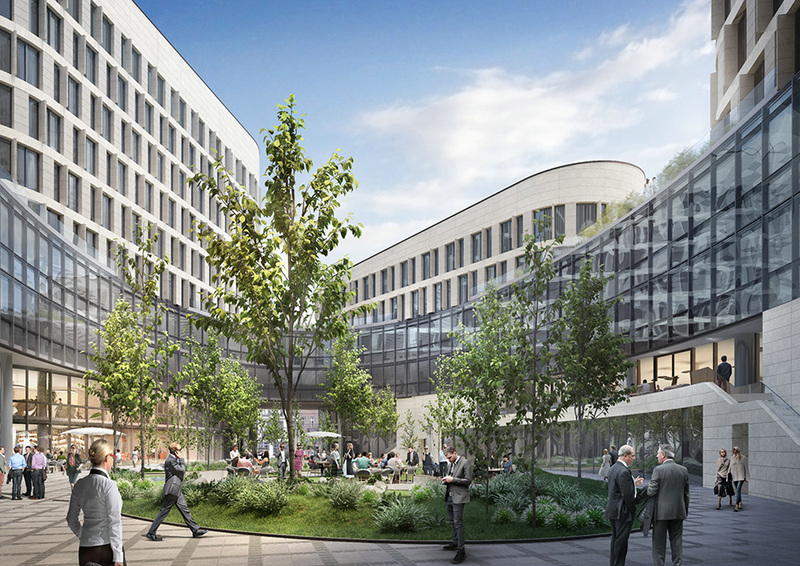 Quatuor project will also boast an interior, landscaped garden, and an underground car park with 353 places.